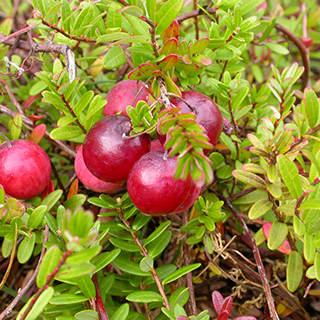 A well-known household remedy, cranberry is commonly taken for urinary tract problems such as cystitis and urethritis. Sharp-flavored and rich in vitamin C, it has strong disinfectant properties within the urinary and gastrointestinal tracts. For preventing urinary tract infections: Cranberry juice 1-10 oz (30-295 ml) per day. Standardised extracts are available in tablets or capsules. Take at the manufacturer’s recommended dosage. Cranberries are not really grown from seed, but you can buy cuttings or seedlings to start your berry field. The plants will start to produce fruit at around 3 years of age. So a year-old cutting will take some time to get started, whereas a 3-year old seedling will give you fruit almost immediately. You really should get your cranberry harvest picked before the frost hits in late fall. You’ll know they are fully ripe when the berries are deep red, and the seed inside is brown.